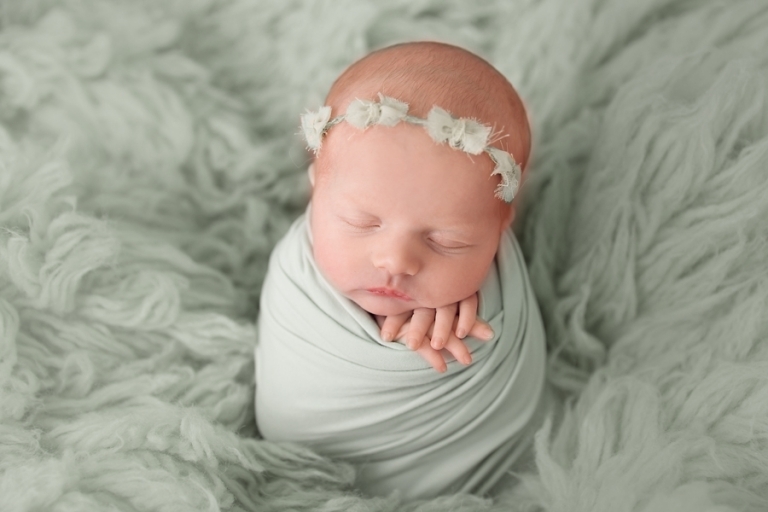 Welcome to the newborn photography Akron Ohio blog, Quinn! This little sweetie I had the privilege of meeting when she was just hours old at the hospital for her momma’s fresh 48 session. Only twelve days passed between then and her newborn session, but my goodness, she had changed so much in that amount of time! It is so amazing how quickly these little ones grow over the first year! I met Quinn’s momma at her maternity session and am so thrilled to be documenting her first year. They are such a sweet family and gorgeous on top of it! This picture of these two beauties just melts my heart. The potato sack pose is always a go to for me, especially with alert babies like Quinn. It keeps them nice and cozy while we get a variety of sets. Keeping the little ones happy is my top priority- a happy baby makes for a great gallery of photos (not to mention helps mommas relax). The simplest photos are almost always my favorite- so timeless! How sweet are those back rolls?? Certainly not as cute on me, that’s for sure! Love this sweet tie back by Created By Carli and the lace backdrop by Roses and Ruffles. Quinn’s momma requested this set up, the posing pod is such a versatile little prop! She’s just chilling there, baby style. Thank you so much for stopping by the blog! Looking for newborn photography Akron Ohio? 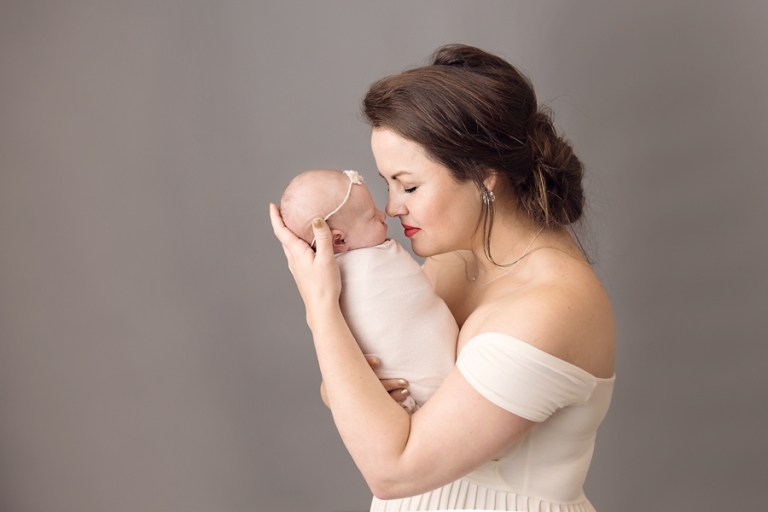 Please check out the newborn portfolio and similar blog posts. If you like what you see, please contact Mary to discuss creating your session. 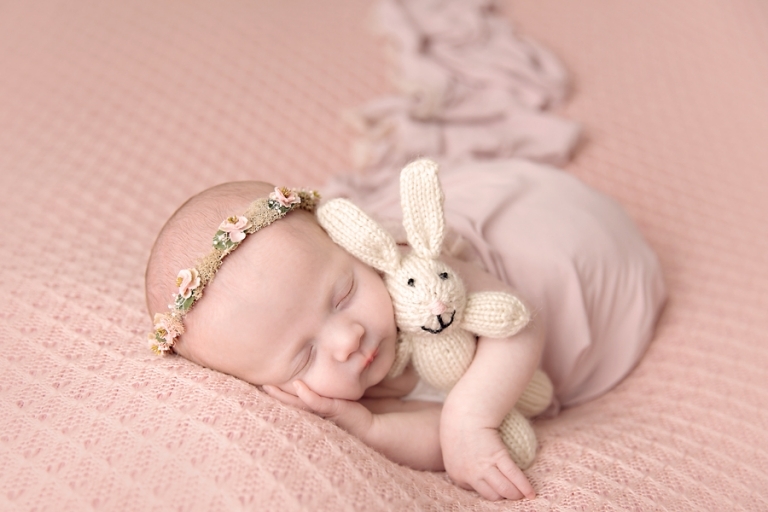 Due to limited availability, please schedule your newborn session in your second or third trimester. Mary Christine Photography typically books two to three months in advance, occasionally there will be a last minute opening.